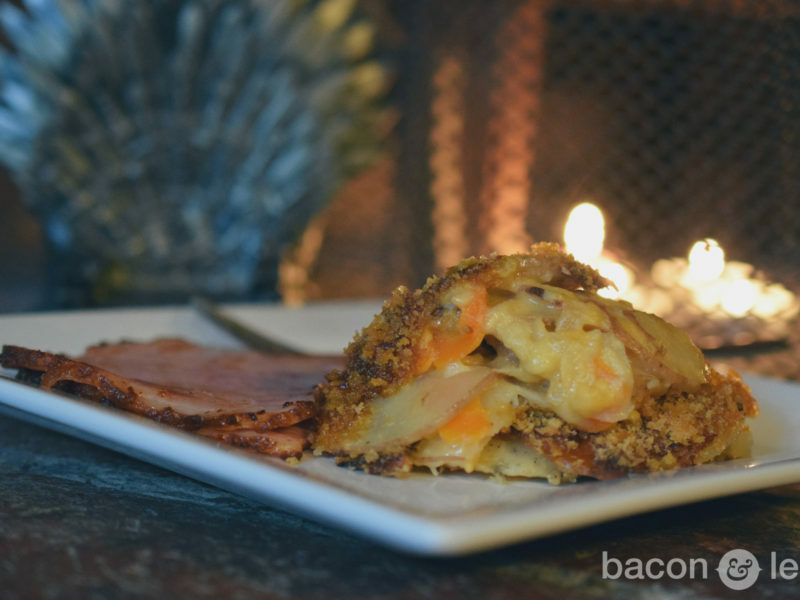 The lovely and talented @lipsticknlager of Twitter and Instagram fame has graced us with a couple of glorious Stranger Things-themed recipes. Below is the first. Enjoy, mouth-breathers. 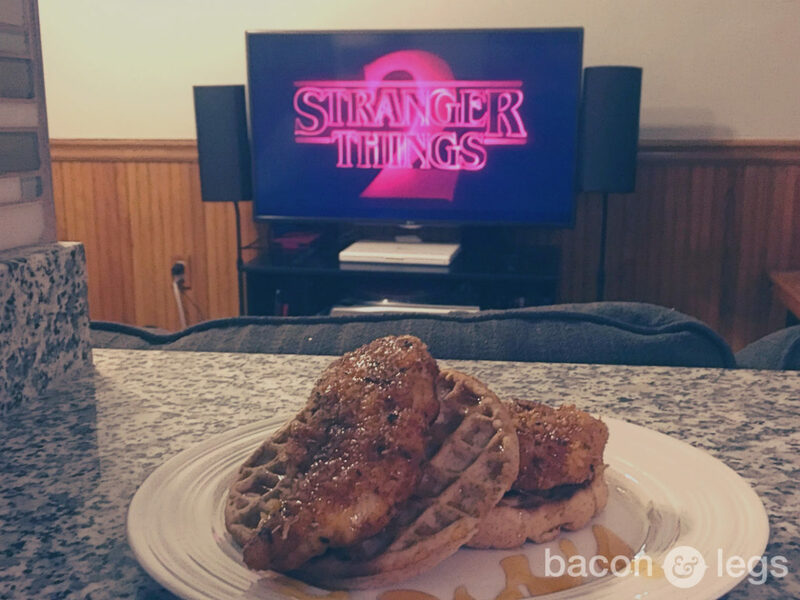 I am so beyond excited about the return of Stranger Things for season 2 that I LEGIT texted Fontina after inspiration came to me in the shower (I’m weird, I know) about themed recipes that would be oh-so-perfect to welcome the return of the show that solidified my addiction to Netflix (sorry OITNB, it’s not you, but I still really love you). 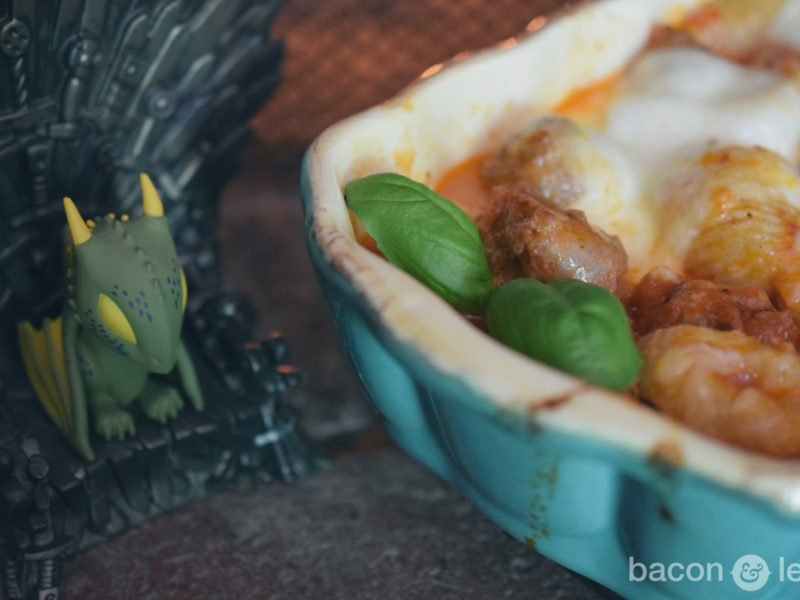 Fontina replied with something that made my eyes bug out (ever so slightly), ‘That’s a great idea, you should guest blog for me!’. Um, what? No, I don’t do that. That’s, like, SO MUCH COMMITMENT. To the people that follow me on IG, you’re well aware that I love to cook (sorry/not sorry), so this is probably not a shock to you that this was bound to happen. It’s likely more of a shock to you than me, I digress. ANYWAY, I’m super happy to be here and even more happy to be binge watching S1 of Stranger Things before S2 premiers on October 27th. So what makes more sense than doing something that includes Elle’s love for frozen waffles? I mean, obviously adding eleven spiced fried chicken. Eleven’s Fried Chicken & Waffles brings together one of my favorite dishes in an approachable way making it perfect for a weeknight. 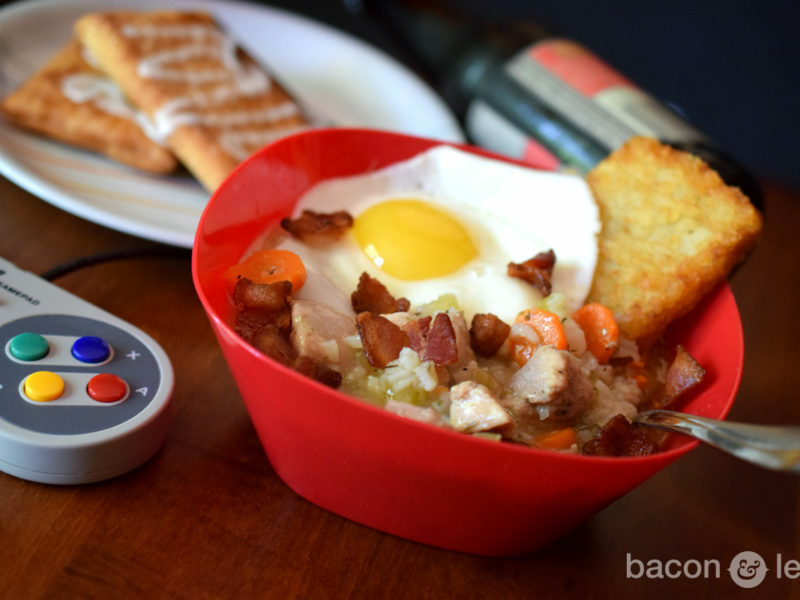 I’m not saying it’s the perfect meal to make to host your own binge watching party (it totally is, BTW), but if you wanted to do that and take photos and tag me I’d probably die from happiness…so there you have it. Or be super fancy and make your own chipotle infused maple syrup. Preheat oven to 250°F. Place a baking sheet with wire rack in the oven. Add the oil to a deep frying pan (I prefer cast iron since it holds the heat well) and turn on medium/high heat. Pat your chicken dry and slice into tender size strips (if applicable). Place your flour in a gallon size storage bag, place all of your spices + panko in a separate gallon size storage bag, and break the eggs and place them in a shallow bowl, whisking to break up yolks. Working quickly, use tongs to throw the first tender in the flour bag, seal the bag and shake vigorously. Use tongs to shake excess, remove from bag and then dredge in the egg. Shake excess egg off and then place in the spice/panko mixture, seal & shake again. Before removing the first tender from the panko mixture, test your oil to make sure it’s hot enough. Check your oil temperature with a candy thermometer if necessary (you should be around 375 degrees) or drop in a little bit of flour–if it sizzles immediately, you can in the first piece of chicken. You can continue to prepare the other chicken tenders as the first one sizzles away, just be conscious of flipping them in order you place them in your pan and don’t overcrowd your pan! Cook chicken around 4-5 minutes on each side (depending on size of your tenders) until golden brown and easily released when flipping. Transfer cooked chicken pieces on the wire rack in the oven to keep them warm & crispy. Once all chicken is complete, toast up your waffles per the package instructions. Time to assemble! Frozen waffle + chicken tender(s) + honey or maple + delicious. Now you just need delicious dessert, right? STAY TUNED!